It was 1939. The Depression loosened its grip on America, yet World War II loomed. Meanwhile, high school football was cresting as one of the country’s most popular pastimes. In an era before big money and television engulfed sports, schoolboys shared newspaper headlines and glory with the pros and college players, and drew crowds in the tens of thousands. That Christmas night, 1939, two vastly different teams from Garfield, New Jersey, and Miami, Florida collided in the historic Orange Bowl to decide the National Sports Foundation’s national championship. Garfield’s Boilermakers were first-generation immigrants from Eastern Europe and Italy, whose parents were drawn to the industrial city’s churning factories. Miami’s Stingarees were from families from all over country settling in one of America’s most thriving and glamorous cities. A pair of towheaded superstars, Garfield’s brawny Benny Babula and Miami’s diminutive Davey Eldredge created a nationwide pregame hype. The night lived up to it, with one of the most thrilling, magical–yet highly contested–football games ever played in that stadium. 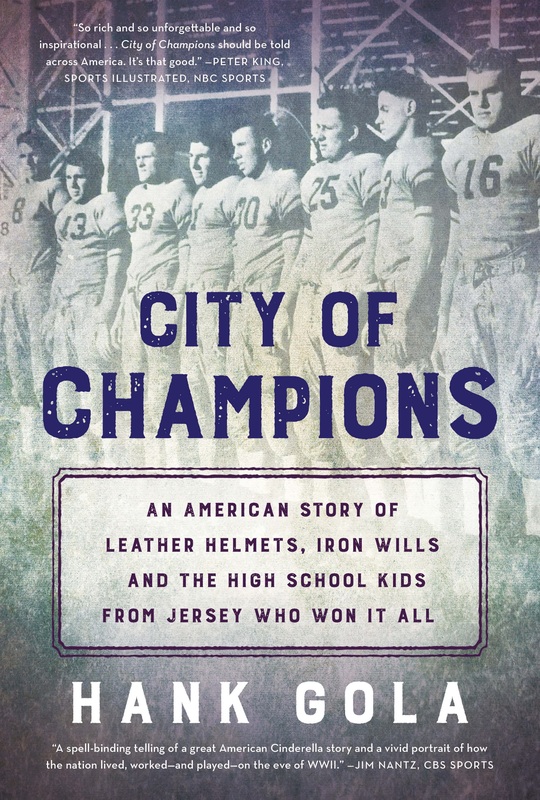 In City of Champions, Hank Gola, a veteran and award-winning football writer (and a Garfield kid himself), unveils this long-forgotten game through voluminous research and numerous interviews. In the telling, Gola mines stories of the towns and the lives of the players and coaches―and details the grit (and wild strokes of luck and fortune) that led up to a Garfield victory, stunning the football world. Gola also describes how this game, and the sport in general, was a mirror to America, revealing some of the most pressing cultural, economic and social issues of the day, including how segregation stifled high school football in the south and how infantile paralysis, the game’s charity benefactor, gripped the nation in fear. And, with war in the air, football imparted lessons to the boys on the gridiron that would eventually transfer to battlefields in Europe and the Pacific. 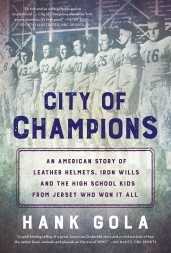 Above all, City of Champions is a story of everyday heroes and lives well-lived.